Do you want to look as young as you feel? As we age, our skin begins to lose it’s youthful plumpness and shape that it had when we were younger. This is natural but it doesn’t mean we have to abide by the natural laws. 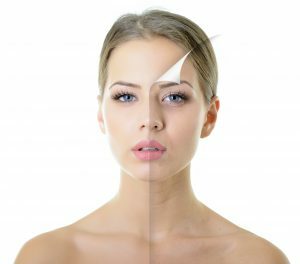 Anti-wrinkle treatments and dermal fillers here in Manchester can help reduce the signs of ageing. There are very simple and safe ways to reduce the signs of ageing and at Oakley Dental, Cosmetic Dentist in Manchester, we are pleased to be able to help with anti-wrinkle treatments and dermal fillers which our experienced facial aesthetics clinician provides. We offer wrinkle-reduction treatments and dermal fillers that have been in use for more than 30 years across the globe and are proven to be safe, reliable and effective. Whether your concern is about laughter lines around the mouth, crow’s feet around the eyes, or lines on the forehead, we can help to subtly reduce the effects of ageing and restore your confidence in your appearance and skin. We also provide Dermal Fillers treatments in Manchester that can instantly plump up your lips, improve and define your lips, improve sagging cheeks and other areas of the face. We are one of the few clinics in the Manchester area that provide a full 15-point facelift using Dermal Fillers. Lines and wrinkles become established by the repeated movement of muscles in our facial expressions. With a fine needle, we inject a small amount of anti-wrinkle fluid that reduces the amount of movement in the muscles. As well as preventing the lines from being reinforced any further, this helps any existing lines and wrinkles to be gradually reduced and eventually disappear. Anti-wrinkle injections have minimal discomfort and you will be able to go back to your everyday life immediately after treatment. Any minor redness can be covered easily with normal make-up and you will begin to see results within 48 hours, with the full results being visible within two weeks for most people! Our anti-wrinkle treatments just take a few minutes to administer but last for up to 4 to 6 months. If you wish to continue to enjoy the effects, we recommend repeating the treatment every 3 months. If, however, you decide not to continue, you can simply allow the effects to wear off and your natural appearance will return. If you wish to proceed, you can simply book an appointment with our friendly reception team by calling 0161 773 0111 or fill out the contact form.